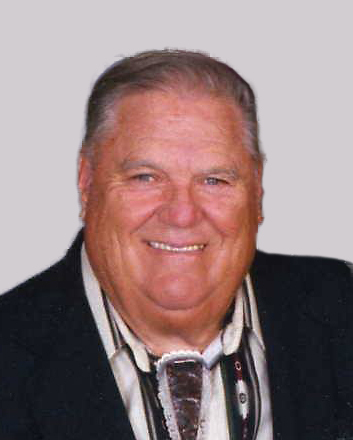 Ronald Wesley Nelson, age 86 of Veyo, UT, passed away peacefully at his home on September 6th, 2018. He was born, March 18, 1932 in St. George, Utah. He is the first son and third child of Wesley Alma and Althea Snow Nelson. His great-great grandparents: Aaron Nelson, Erastus Snow, and William Snow, were some of the original settlers in Dixie. He grew up and attended schools in St. George, UT. He graduated from Dixie High School and Dixie College. Ron met Glenna Nelson, daughter of Lawrence Jay and Laura Bowman Nelson, of Leamington, UT, while attending Dixie College. She was a ‘Dixiana’ Dorm Girl. They were married in the St. George Temple on September 8, 1951. Ron was drafted in the army during the Korean War and served as a medic. He was stationed in Fort Lewis Washington and Sasebo, Japan. He was honorably discharged from the army on a medical deferment. Ron had a soft spot for the unfortunate and down-trodden. He would give the “shirt off his back” to help others. His heart was as big as his large frame. One of Ron and Glenna’s greatest accomplishments was to see each of their four living sons serve honorable full-time missions and later be sealed to their spouses in the St. George Temple. They were proud of their children. Each of their children graduated, like Ron, from Dixie High School, and went on to pursue successful lives. Their grandchildren are all following the great example set by their grandparents. During his lifetime, Ron served as a home teacher, Sunday school teacher, ward clerk of the Dixie College Third Ward, Elder’s Quorum President, Ward Activities Chairman, Cubmaster, and Ward Mission Leader. Civically, Ron was involved in his community. He was a member of the St. George Lions Club. He enjoyed helping with the annual Dixie Round-Up Rodeo. He was the founder, charter member and past president of the Veyo Cinder Valley Lion’s Club. 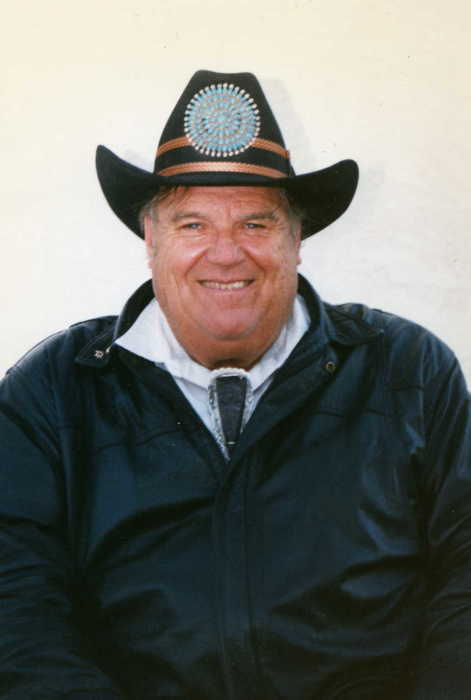 He was also a member of the St. George Chamber of Commerce and the Dixie College Colonels and served as the past president of the Dixie Wildlife Federation. He served his community in many ways. In addition to deer, Ron loved to hunt quail, pheasants, antelope, elk and javelina. He also loved fishing in his boat in the lakes of southern Utah. Ron knew the back roads and mines of southern Utah, Washington County and the Arizona strip, better than most. Ron was a great story-teller and prankster. He was affectionately known as “Uncle Ronnie” or “Cousin Ron”. He enjoyed the company of his Nelson and Snow cousins and his nieces and nephews very much and hosted many dinners and parties for them. He is survived by his five children, Gary (Christine), Roosevelt; Ricky (Sandy), St. George; Lonnie (Richelle), Santa Clara; Tammy (Tim Gentry), St. George; Cory (Traci), Taylorsville; 21 grandchildren and 38 ½ great-grandchildren. He was preceded in death by his wife, Glenna; a son, Glenn Ray; parents, Wesley Alma and Althea Snow Nelson; in-laws, Lawrence Jay and Laura Bowman Nelson; siblings, Althea Rose, Karlene, and Grant; and grandson, Jeremy. A viewing will be held in St. George, UT, Thursday evening, September 20th from 6-8 pm at the Hughes Mortuary – 1037 E. 700 S. St. George, UT; The funeral will be held in Veyo, UT on Friday, September 21st at 12 noon at the Veyo Ward LDS Chapel– 176 East Center St. A viewing will precede the funeral from 10:30-11:30 am. Interment will be in the St. George City cemetery.